Changing a diaper in the middle of the night is probably the last thing you want to do. 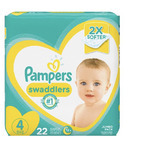 With pampers I would wake up soaking wet in my babies pee. Since I started using Huggies overnites my babies diaper never leaks! These are definitely the best diapers we have used, and we have tried quite a few brands. The absorb an incredible amount of liquid, and the elastics fit well around the legs. My daughter also loves the designs. They are pricier than store brands, but they last so much longer that the price difference is really meaningless. 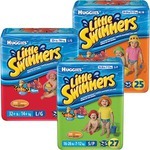 Also, Huggies are often on sale, and the brand offers great coupons. My lo used to wake up wet, even after trying a size larger at night. With overnights I never had that problem. They were a comfortable fit and very, very absorbent!! I used to think that day and night diapers was silly. But after trying these night diapers, I see the light! It means NOT changing a diaper at night. That means MORE sleep for you!!! Best overnight diaper ever. I didn't think I needed to bother with all different kinds of diapers until I had my son. He could easily pee through a regular diaper in no time at night. So, out of a whim I bought these diapers! Omg they are so amazing! This has quickly become one of those products that is a MUST. I also like how the diaper doesn't adhere to his little bum when he pees. Great job! Huggies OverNites are the only diaper I could find that would keep my son from wetting through. They are wonderful and truly hold in all liquid. They also seemed to be very comfortable to my son because he never complained even if they were completely full when he woke up. Our children are heavy night wetters and regular daytime diapers were not cutting it. We tried several brands of overnights and Huggies are the best! They are a bit pricy but since it's just one diaper a day it's not so bad. They fit our kids really well and make sure they are comfortable all night long. Best product ever! No more overnight accidents now that my son is a belly sleeper and sleeps 9+ hours every night. With the regular diapers he would always have leaked out the top of the front of the diaper. His sheets and clothes would be soaked. No more!